The Legend of Zelda: The Wind Waker celebrated its 16th birthday recently, which means we’ve had 16 years of Toon Link and his expressive antics, 16 years of gorgeous seas filled with adventure, and 16 years of some of the most charming music in the series. Among these amazing songs is the overture that plays at the end of the game. It’s one of my favorite tracks in the entire Legend of Zelda music catalog, and it always brings a smile to my face when I hear it, but when given the choice I often prefer to listen to acoustic versions of the melody. Acoustic music is special. It strips a song down to just the bare elements: the notes, the instrument, and the player. Synthetic noises and instruments and other distractions are not present, leaving the musicians free to blend multiple instruments together in perfect harmony. As someone who hasn’t played an instrument in years, it’s amazing to see a person play not only one instrument for an acoustic song, but several, necessitating they learn multiple parts, notes, and pacing for each piece of the composition. 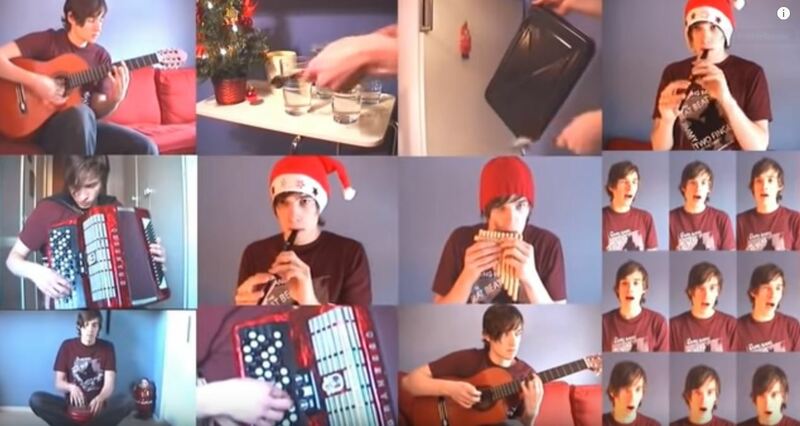 In his unplugged cover of Wind Waker’s theme, YouTube musician FreddeGredde can be seen playing guitar, flute, accordion, water glasses, and using his own voice to recreate the classic theme. You can tell by watching the video that he took a great deal of time to learn all parts of the melody. He sometimes even plays the same instrument twice to recreate different sections, which is one of my favorite things about this video as a whole. At one point in the video, there are 19 panels, which means there are 19 different melodies blended for one song. Some use the same notes in varying pitch, while others use different patterns and pacing, but they all mix to form a whole. This song has some subtle differences from the version in Wind Waker, but its similarities were enough to make me forget it wasn’t part of the game’s actual soundtrack as I listened to it play in the background. The combination of instruments and acoustic vocals brings the whole piece to life, and this rendition of the song is just as charming as Wind Waker is itself. If you want to check out more of FreddeGredde’s covers, visit his channel on YouTube to find Wind Waker Unplugged and more.